Joann Hazel Wash, age 83, of Ft. Duchesne, passed away Sunday, October 14, 2018 at her home. She was born March 1, 1935 in Ft. Duchesne to Cruz Cesspooch and Ethel Wash Grant. She was raised by her grandmother Tar Choop Colorow. She married Kee Tohannie, later divorced, then Harold Groves, later divorced, and Rick Martinez, they were later divorced. Joann was a licensed beautician. 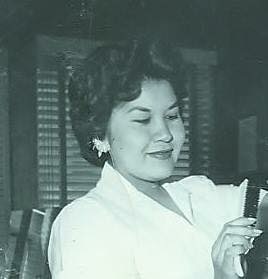 Through the years she also worked as the Executive Secretary for the Ute Tribe business committee, as an interpreter for tribal members, as a police dispatcher, at Ute Lab, and as a potter at the Ute Ceramic shop.She enjoyed being in the outdoors, going to the D.I., attending Sundances, Bear Dances and Pow Wows. 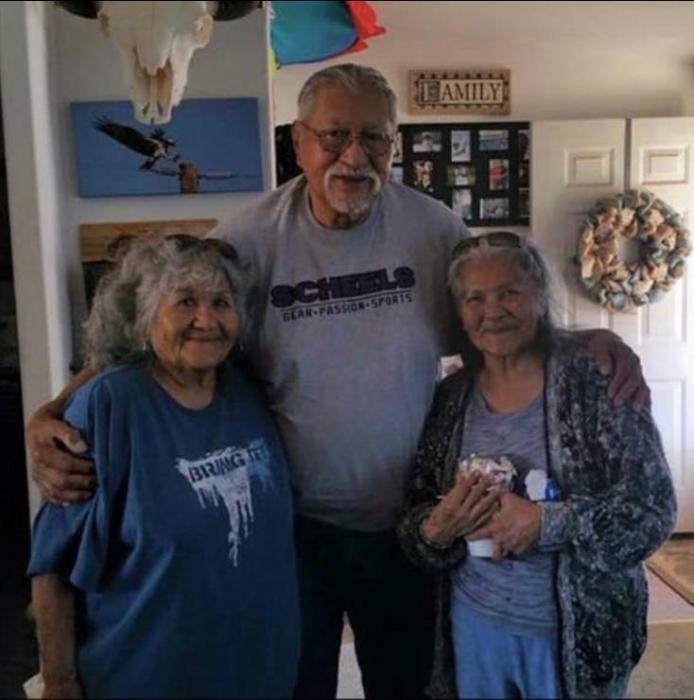 She was the very first Miss Ute Indian in 1954. 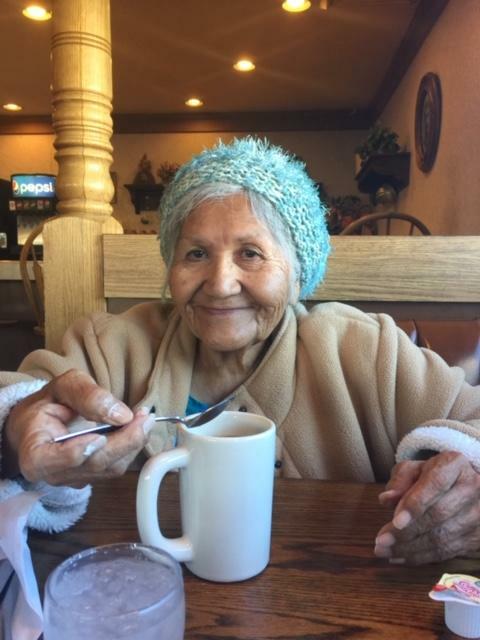 She loved to gamble, play cards, especially Monty, participate in handgames, spend time at the casino and playing blackjack..
She loved her family and delighted in spending time with each and everyone of them. She is survived by her children, Keith (Francine) Tohannie, Joseph Urshel Tohannie, Margaret “Maggie” Tohannie, Janna Groves, Jeromy Groves, Garrett Martinez, BlueSky Martinez, grandchildren, Urlene, Nicholas, Urshel Sonny, Colton, Trevor, Gaylynn, Isaac, Cici, Carley, and Moonbeam, and her siblings, Roberta John, Clariss, & Levita. 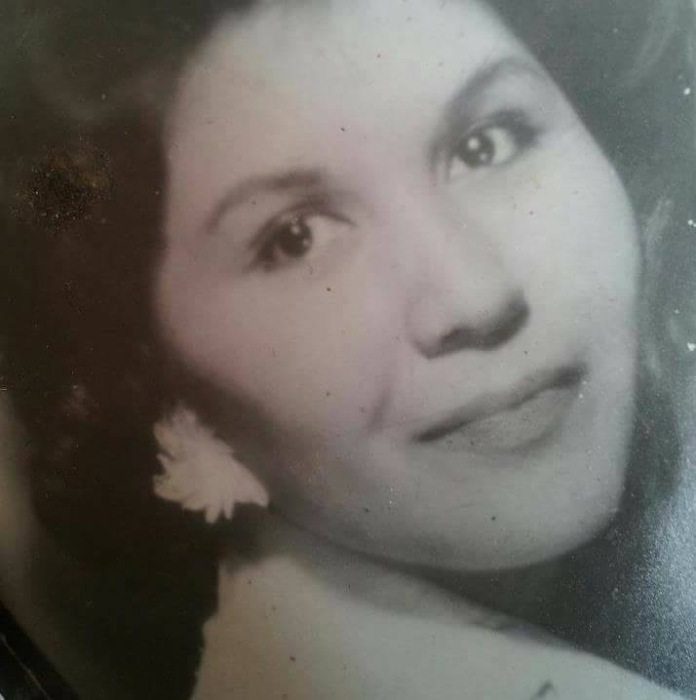 She was preceded in death by her parents, daughter Jolanda Groves, grandmother Tar-Choop Colorow, siblings, Ina Lou Chapoose, Marrietta Reed, Gertrude Willie, Nathaline Santio, Beverly Serawop, Beatrice Cesspooch, Delmar Cesspooch, Andulia Sanchez, and Cruz Cesspooch, Jr.
Funeral services will be held on Thursday, October 18, 2018, at 10:00 a.m. at the new Randlett Community Building where a wake will be held on Wednesday after 4:00 p.m.
Interment in the Randlett Cemetery. A luncheon will be held at the Ft. Duchesne Gym after the interment.